Increases ticket sales by providing a 360 degree view of the sports fan, and enabling more targeted and personalized marketing offers. IBM Fan Insight turns fan engagement into breakthrough revenue for sports teams and venues. A predictive analytics solution available on the cloud, it enables a 360 degree view of the fan, which forms the basis to engage fans and enhance their experience. 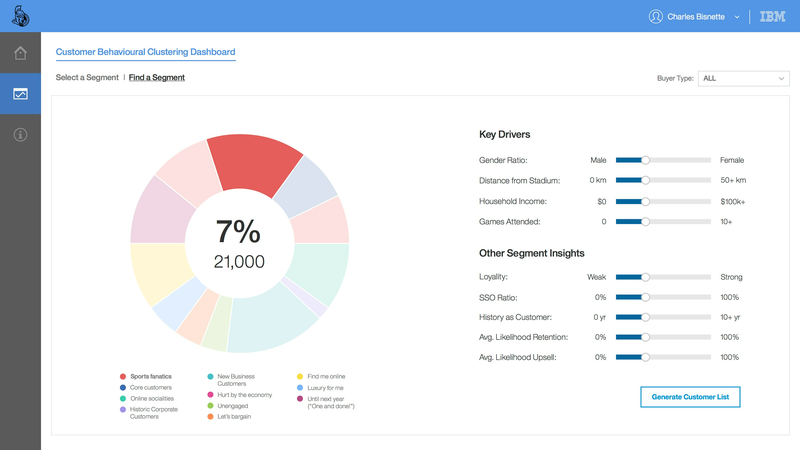 Actionable insights will help you can make smarter decisions, and sell more tickets. Empower your marketing and sales people with insights about specific fan segments to maximize their effectiveness.